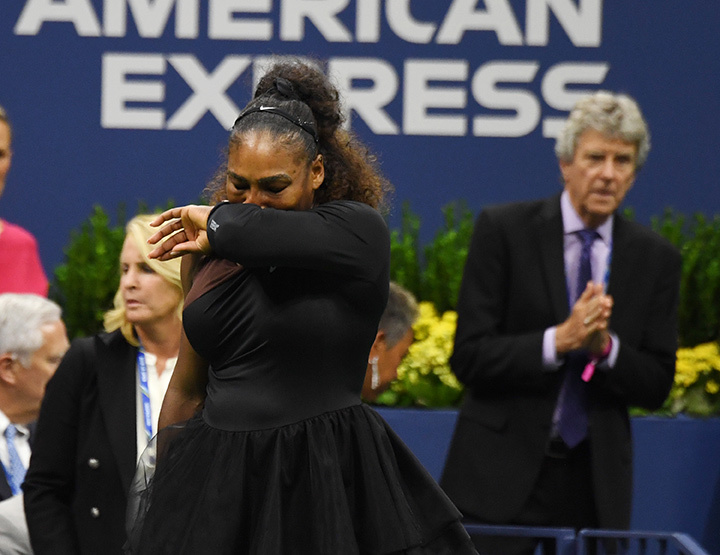 The Serena Williams US Open final boil-over is being spun into a #MeToo moment for tennis as the tournament public relations machine cranks into action. 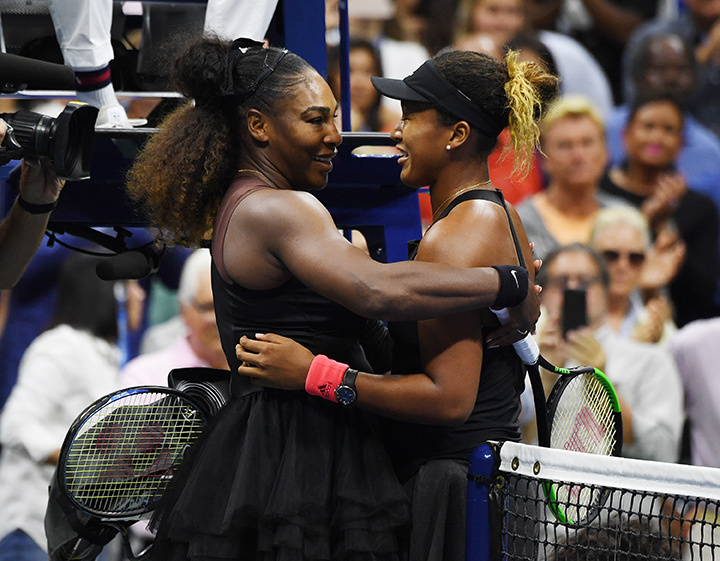 Williams was docked a point and then a game as an originally minor warning for coaching from the box escalated with each passing game in the second set of the 23-time Grand Slam champion’s 6-2, 6-4 loss to Japan’s rising star Naomi Osaka. The furious American, who would have likely lost anyway on the day against her steel-nerved 20-year-old opponent, later said that her game penalty for verbal abuse – she called controversial chair umpire Carlos Ramos of Portugal a thief after he docked her a point – was just another example of male privilege. “For me to say ‘thief’ and for him to take a game, it made me feel like it was a sexist remark. He’s never taken a game from a man because they said ‘thief’. “It blows my mind. But I’m going to continue to fight for women and to fight for us to have equal – like (Alize) Cornet should be able to take off her shirt (penalised for on-court top change last week) without getting a fine. 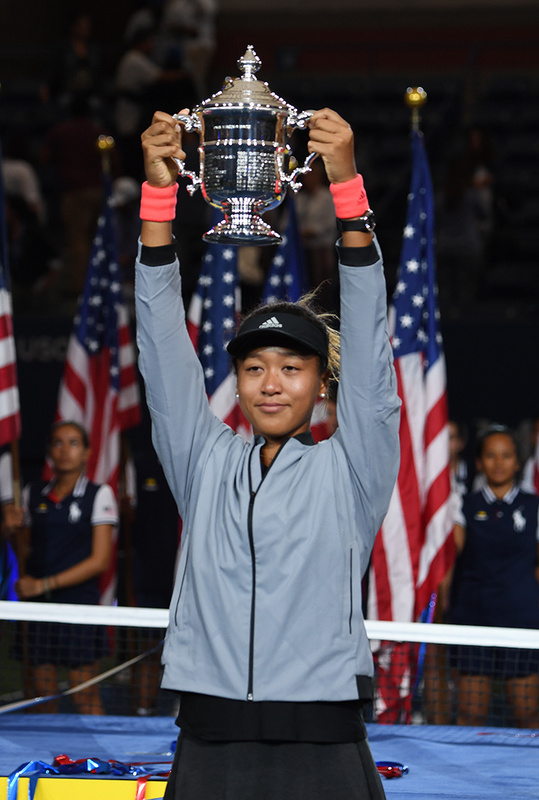 The USTA, ever mindful of the longtime Williams box office power, came out quickly in favour of the player after her eruption, ignoring the tearful blowup but praising Williams for being civil at the trophy presentation to stunned champion Osaka, 20. 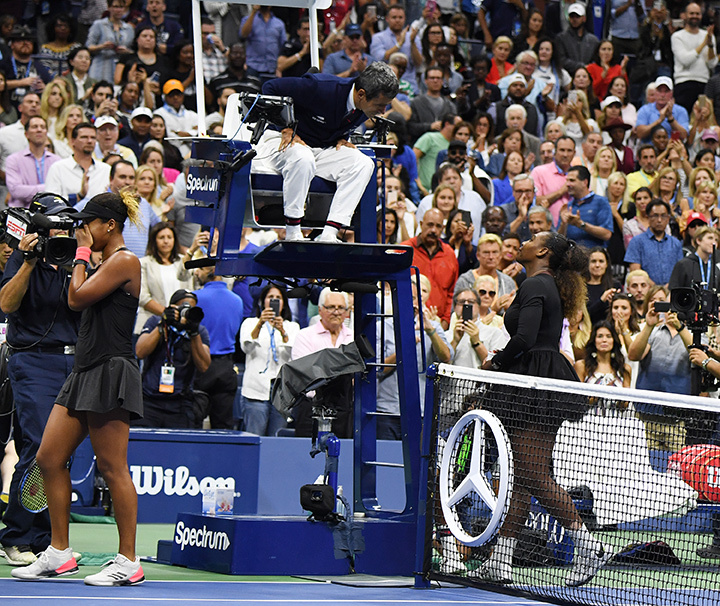 “What Serena did on the podium today showed a great deal of class and sportsmanship,” said USTA CEO Katrina Adams. “This was Naomi’s moment, and Serena wanted her to be able to enjoy it. That was a class move from a true champion. “(Serena) is an inspiration to me, personally, and a credit to our sport, win or lose. “There are matters that need to be looked into that took place during the match. For tonight, it is time to celebrate these two amazing players, both of whom have great integrity. 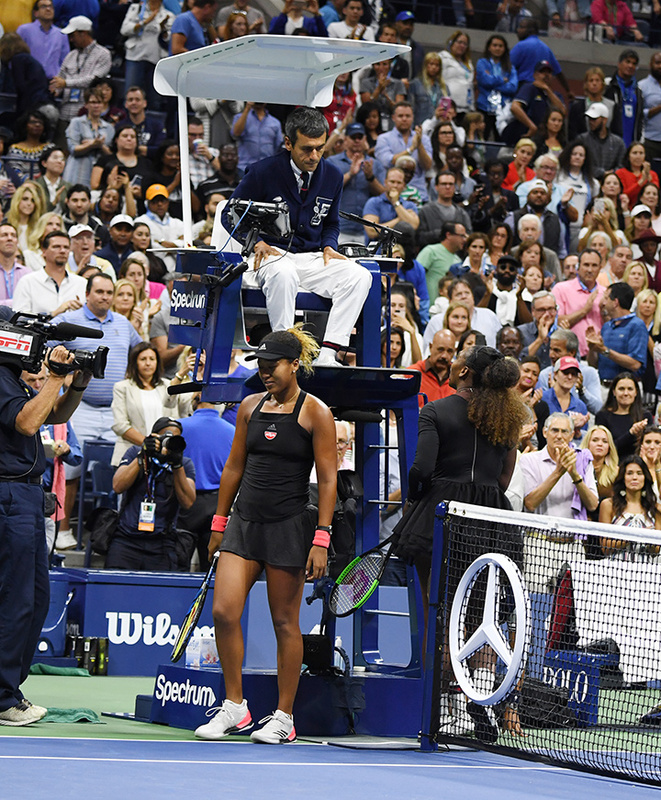 Osaka, playing in the biggest match of her life, kept a towel over her head at her bench during much of the dramatic and furious Williams meltdown. The Japanese winner later claimed to have not heard much of the dispute between her opponent and the chair. “The crowd was really noisy, so I really didn’t hear anything that was going on. “And when I turned around, it was 5-3 (after a game penalty to Williams) so I was a little bit confused then. With a cheque for $3.8 million and instant status as a Grand Slam champion, Osaka was struggling to take in the magnitude of the dramatic afternoon. “I mean, it doesn’t really feel that real right now. I think maybe in a few days I’ll realise what I’ve done. Wiliams would not let go after the first game of the second set when Ramos gave her a warning for coaching. That minor sanction set off a chain reaction of temper reminiscent of two previous Williams explosions at the event – one against a linesperson and the other against the chair. The furious American kept demanding an apology from Ramos which was never going to come , with Williams puzzled by accusations of cheating through coaching. Her coach, Frenchman Patrick Mouratoglou, told ESPN after the match: “If I’m honest I was coaching, I don’t think she looked at me,” he said, adding that Osaka’s coach was doing the same. Former ATP chair umpire and ex-Australian anti-doping official Richard Ings came out in support of Ramos, saying he made correct decisions.